The Screaming Pope: Does a Celebrity Dog Realize It's a Star? Does a celebrity dog recognize his or her own fame? And is he or she able to handle the notoriety? Clearly one of the best ways to study this would be to attend the annual Westminster Dog Show, where reputations and fortunes can be made overnight. But look at dogs like Lassie, Rin Tin Tin or Neil, the martini quaffing Saint Bernard on Topper. These stars of movies and television were preened and vetted just like human beings who had risen to the top of their professions. And then there was Leona Helmsley’s dog, Trouble, who’d inherited a fortune on her owner’s death ("Cosseted Life and Secret End of a Millionaire Maltese," NYT, 6/9/11). Can a dog be made to understand that they’ve become rich and will a rich dog be able to not only buy themselves out of a kennel, but gain entrance into the kind of exclusive clubs that people with that kind of money are used to joining? Would a dog be able to enjoy Woody Allen’s sentiment that they wouldn’t want to join a club who would have him or her as a member? Would a dog be able to truly appreciate the fruits of his or her labor? Of course lots of people anthropomorphize their dogs and attribute to them all kinds of emotions that would facilitate the process of empathy. It's the rare dog owner, who after taking his lumps in a hard cruel world, doesn’t want to feel at least understood by their dog, but this, in all likelihood, has little to do with what a dog is really experiencing, especially when it comes to receiving accolades. 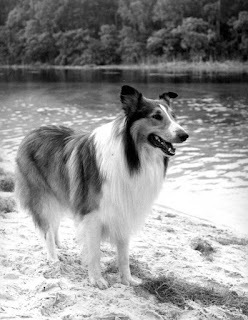 Though no dog has ever received an Academy Award, dogs have received all kinds of recognition and you wonder if there is actually a Brad Pitt (bull) or Charlie Sheen type dog, who has demonstrated self-destructive symptoms--say excessive drinking of water from bowls--which might be evidence of the fact that success has gone to their heads.